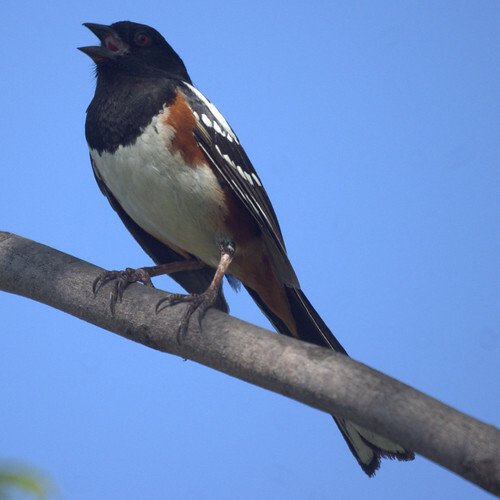 We spent weeks listening to a male spotted towhee singing in the trees trying to attract a mate. At first we loved the songs. After a while, we considered taking out a personal ad for him since it didn't seem like he was having any luck. Eventually we saw two spotted towhees around at the same time, but it was very difficult for us to tell if one was female. The female looks identical except the head is more grey. We really never could distinguish between the two even when we saw them together. 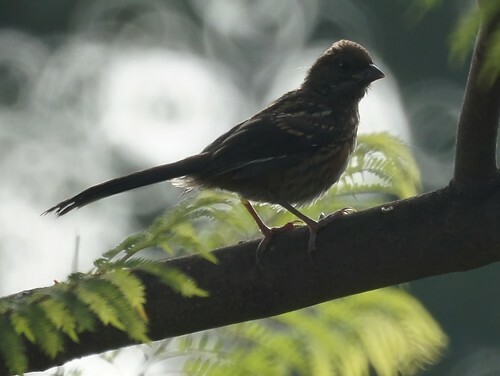 We sort of gave up hope, but lo and behold, there appeared a nice looking juvenile spotted towhee amongst our regular crowd. 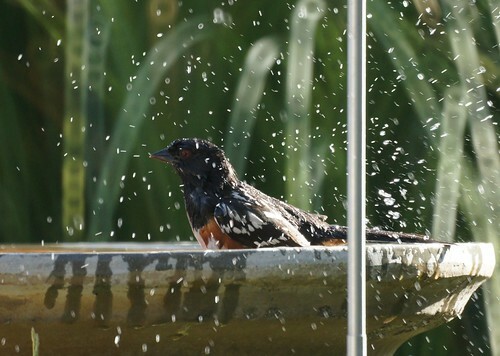 We're so proud - well, I guess the spotted towhee couple is and we just love watching them.